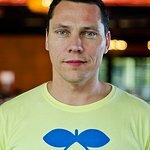 The Global Citizen movement continues its efforts to motivate and educate socially-active youth about the causes and consequences of extreme poverty with a newly announced DC-area concert featuring Tiesto, Above & Beyond, Krewella, Alvin Risk, and more. Presented in partnership with World Childhood Foundation, the multi-act ‘Thank You Festival’ will take place June 26, 2014 at Merriweather Post Pavilion. The event will recognize the pivotal role of U.S. foreign aid in helping to cut global child deaths by nearly one-half since 1990, and will emphasize the topic of child survival and protection. Since 1990, U.S. aid dollars have helped to significantly reduce the number of children who die before their fifth birthday. U.S. aid funding has also helped to cut new polio cases from 1000 a day in 1990, to just 1 a day in 2013, preventing millions of children from becoming disabled. Despite the encouraging statistics, 6.6 million children under five still die each year, most from preventable causes. Children from all socioeconomic backgrounds continue to face challenges of exploitation and abuse, preventing them from having a happy and healthy childhood. Concertgoers can learn about the role the U.S. has played in helping to ensure children everywhere can live a healthy, full life by visiting globalcitizen.org. Tickets to the ‘Thank You Festival’ go on sale to the public on Friday, April 11 at www.ticketfly.com. 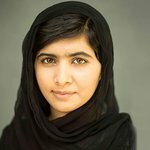 One hundred free tickets will be given away through globalcitizen.org, where fans can take “action” to encourage the United States government to continue its efforts to keep millions of children alive. The ‘Thank You Festival,’ is named after World Childhood Foundation’s global initiative, Thank You by Childhood. The event builds on the success of the 2012 and 2013 Global Citizen Festivals on the Great Lawn in Central Park in New York City, and the Global Citizen Nights concert series, which launched in March 2013 with a concert by The Fray in Austin, TX.